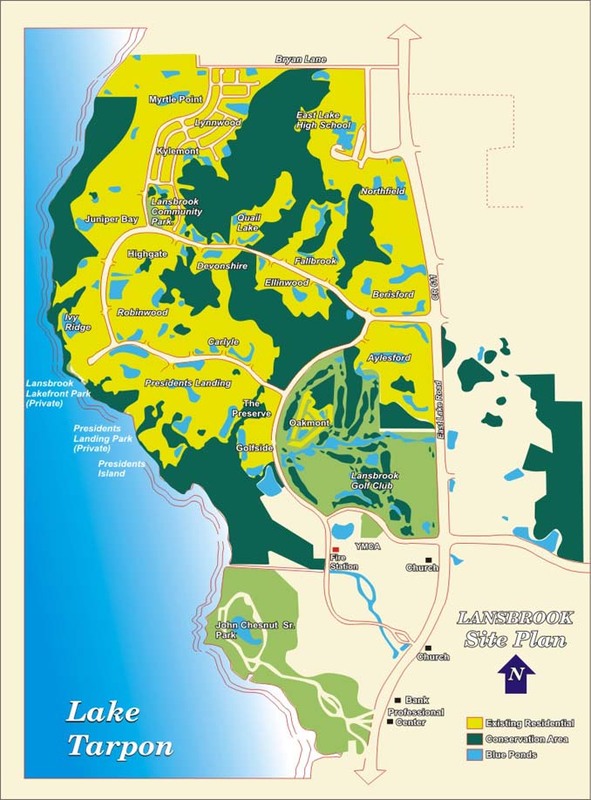 Here’s a great map of the Lansbrook community. As you can see we are right on Lake Tarpon off East Lake Road in Palm Harbor and Tarpon Springs. To access more information and listing of any subdivision – just click on the name in the map or scroll down for a complete list of communities in Lansbrook. Visit our Palm Harbor, Tarpon Springs and Pinellas County pages too.